Connecting in London? 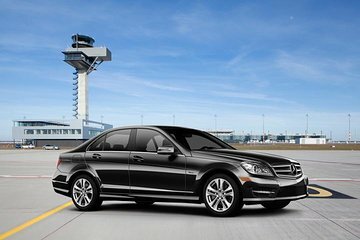 Take all the hassle out of traveling between London’s airports by pre-booking a convenient airport-to-airport transfer. Your driver will greet you on arrival, help with your luggage and drive you directly to your destination to catch your connecting flight. Transfers run between Heathrow, Gatwick, Luton, Stansted or London City airports and are available 24 hours a day, seven days a week. Once he showed up it was great. Unfortunately, we had to wait about minutes because he wasn't tracking the flight. Everyone else was long gone before our driver showed and we were just about to go with someone else when he showed. He admitted he was in the area and could have been there, but he was going by the scheduled time and then adding time for us to clear customs. We were 20 minutes early and breezed through cutsoms. Good drive to the other airport, quicker than expected, good service once we got going.